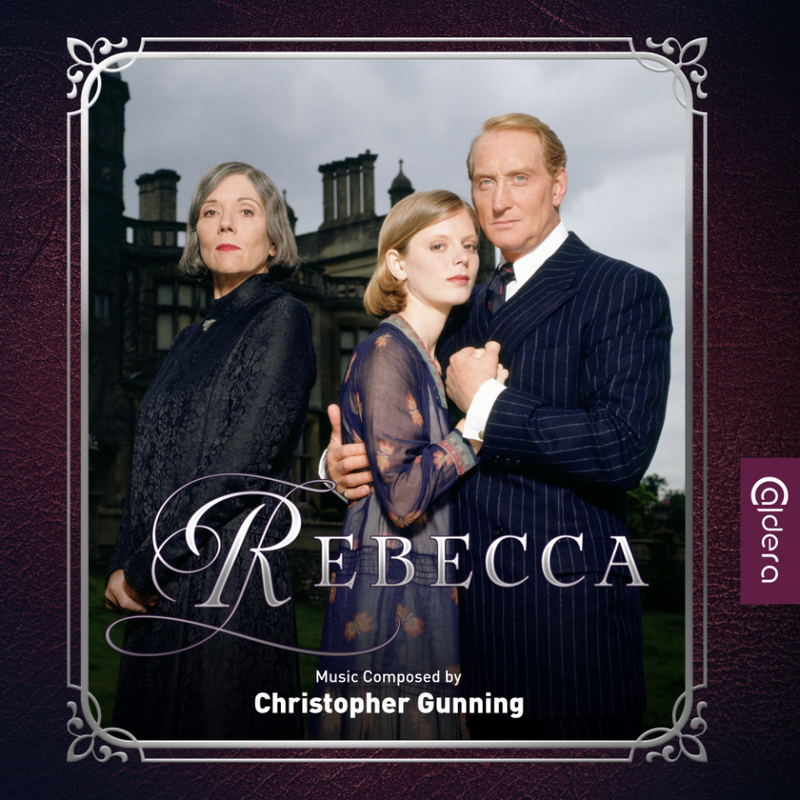 Caldera Records is proud to present the original score for the television movie Rebecca from 1997, directed by Jim O’Brien and starring Emilia Fox, Charles Dance, Faye Dunaway and Diana Rigg. The movie is based on the famous novel of the same name by Daphne du Maurier which had already been made into a successful movie by Alfred Hitchcock in 1940. It tells the tragic love story between a rich gentleman and his second wife who not only has to cope with an obsessive and evil housekeeper but also with the shadow of the first wife who obviously died under strange circumstances… Christopher Gunning wrote one of his most beautiful and rich scores for this adaption, capturing every aspect of the story in his music. While there is a dark and melancholic main theme, the romance between the (happy) couple is described in a lush melody for the full orchestra which receives its variations throughout the whole score. The tense moments in the movie are accompanied by aggressive outbursts from the orchestra, often featuring prominent, difficult and expressive solos from the cello. 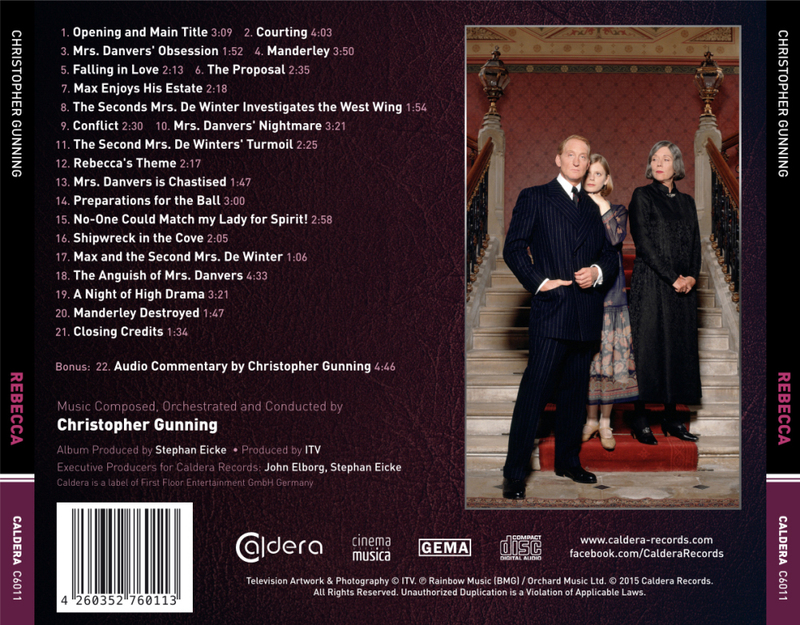 Christopher Gunning himself thinks of Rebecca as one of his very best scores and we are glad that you can finally see for yourself that it is indeed – but even more than that: it is one of the most diverse and inspired scores ever written for television. As a bonus, we included an exclusive audio commentary by the composer where he talks about his work. The eleventh CD-release of Caldera Records features a detailed booklet-text by Gergely Hubai and elegant artwork by Luis Miguel Rojas. The CD was produced by Stephan Eicke and John Elborg.